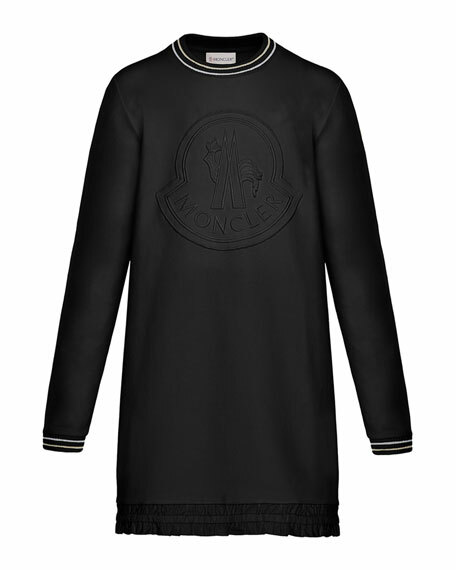 Moncler knit dress with tonal logo embroidery at front. Striped, ribbed trim at collar and cuffs. Base fabric and outer application: cotton/spandex. For in-store inquiries, use sku #2734387.